Artist and educator Stephen Arnold Douglas Volk was born in Pittsfield, Massachusetts. He was the son of the noted sculptor Leonard Wells Volk (1828–1895). He lived in Chicago until age 14, then moved with his family to Europe and attended classes at the Accademia di San Luca in Rome and, later, at the Ėcole des Beaux Arts in Paris. Volk continued to study in Paris until 1879, when he returned permanently to America and initiated a lifelong career in art, teaching and exhibiting in the U.S. and Europe. He lived in New York City and relocated to Minnesota in 1886 to establish the Minneapolis School of Fine Art (now the Minneapolis College of Art and Design). Cass Gilbert, the architect of the Minnesota State Capitol, commissioned Volk to create Father Hennepin Discovering the Falls of St. Anthony, as well as a second painting, The Second Minnesota Regiment at Mission Ridge. Volk and Gilbert communicated extensively about the commission, each expressing strong opinions about the composition of the paintings. Both agreed that Father Hennepin should be the central, dominant figure. Striving to balance historical accuracy with artistic license and dramatic effect, Volk consulted Hennepin’s first-hand account of his experience and Zebulon Pike’s 1805 geological survey of the falls. 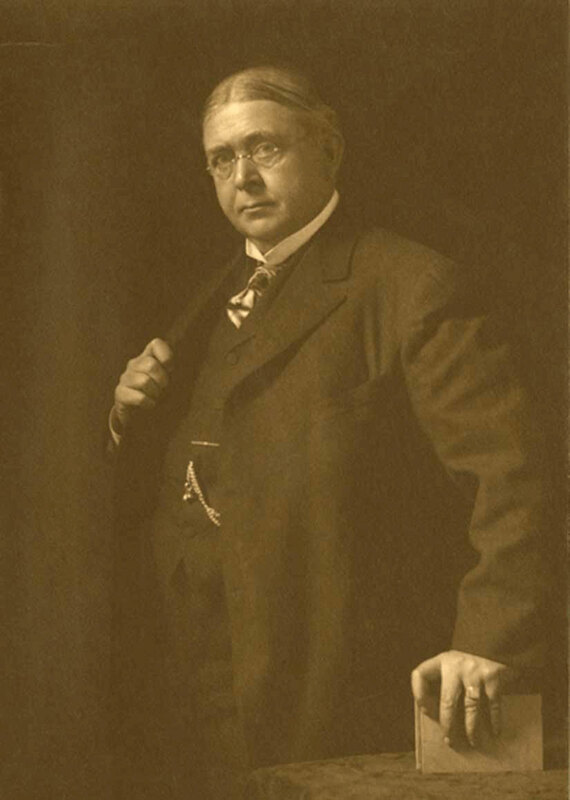 Volk retired to Maine following death of his wife in 1925 and died on February 7, 1935.